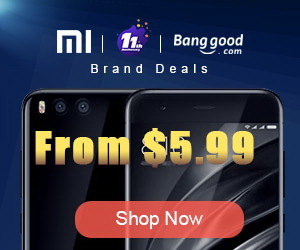 Ele Gift Pack! 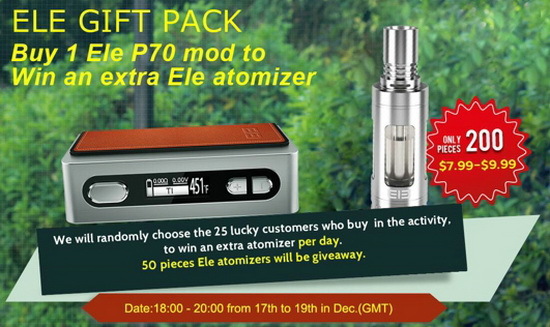 Buy 1 Ele P70 mod to win an extra atomizer. 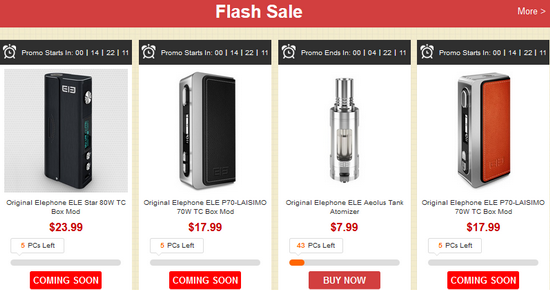 We will randomly choose the 25 lucky customers who buy in the activity to win an extra atomizer per day. 50 pieces Ele atomizers will be giveaway.